Full manuscript submission is extended again until April 16th 2019 at midnight (Paris local time). We are waiting for your excellent papers ! Following the 14th ICLASS 2018 (Chicago) and 28th ILASS 2017 (Valencia) conferences, we will continue this tradition by providing a venue for industrial and academic researchers and students to engage in the scientific development and practice of Atomization and Spray Systems and to meet and share recent developments in these fields. We invite you to ILASS 2019 to take part in an event fostering inspiration, an exchange platform for all those interested in enriching knowledge of the complicated and challenging mechanisms of atomization. ILASS is the Institute for liquid atomization and spray systems. 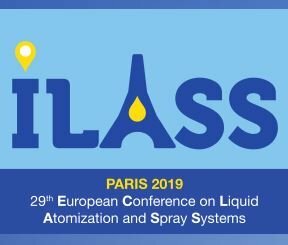 ILASS 2019 is the 29th European Conference on Liquid Atomization and Spray Systems. 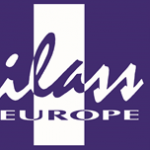 Following the successful 28th ILASS 2017 (Valencia) conference, we are going to enrich the history of ILASS-EUROPE by providing a venue for industrial and academic researchers and students to meet and share recent developments in these fields and therefore to promote the science and application of Liquid Atomization and Spray Systems. We would like to invite you to ILASS 2019 in Paris (France) where we are creating an environment that promotes international communication and collaboration. For the 29th edition in Paris, all papers will be reviewed by independent experts before acceptance.